As if we hadn’t consumed enough sugar by then. But to the average Cuban, sugar is truly the food of the gods and it isn’t unusual to see them nonchalantly mix in 4-5 heaped spoonfuls of the stuff into one of their several daily cups of coffee. And that’s notwithstanding the glasses of rum quaffed, oh so casually. Seeing us balk in horror at the thought of even more of the sweet stuff, delicious though it was bound to be, a compromise of sorts was hastily proposed. “It means guava helmets, it is really good, you will see. And very small portion, very, very small”. We acquiesced, although I have to admit that it was more the odd name that got my interest rather than the urge to actually have something. 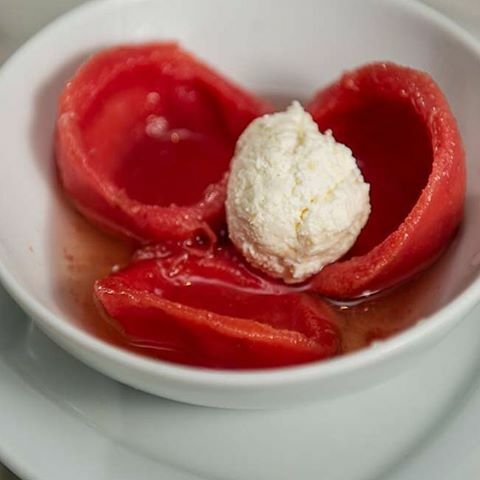 A few minutes later, a small glass plate was placed in front of each of us, with a rounded and scooped red jelly shell, covered with a piece of fresh white cheese. The Husband, long a faithful devotee to the sweet stuff, plowed in with gusto. As soon as the first bite passed his lips, he exclaimed, “Oh! Guava Cheese!”. For the pomegranate toned red jelly is made from guavas or guayaba, the “casco” or “casquito” referring to the helmet shape that the guava jelly is served as. 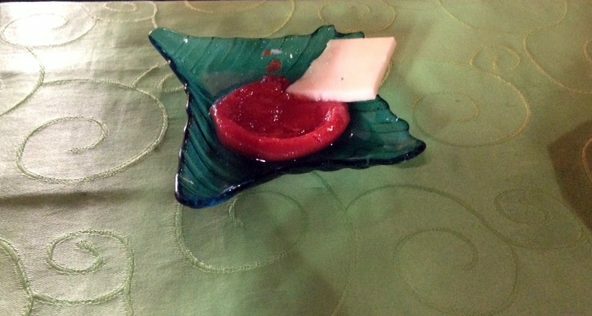 And guava cheese has long been a traditional Christmas treat in India. 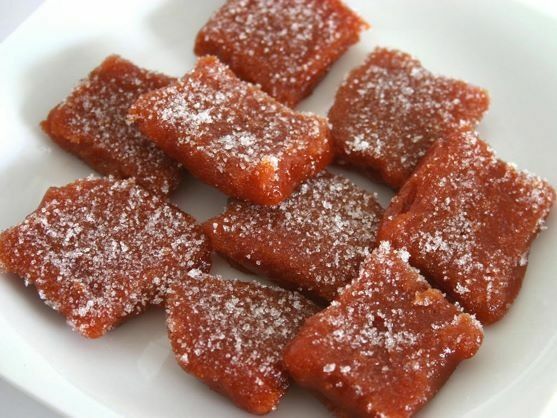 Every December, the meet and greet that surrounds the festive season is sprinkled liberally with gorging on traditional fare such as guava cheese, cut into squares and dusted with powdered sugar. Now that is quite a leap across distances. To understand how this happened, we have to go back to the Romans (yes, them again! ), who were the first to create the recipe in order to make quince jam. A collection of recipes from the 5th Century A.D. shows a recipe for stewing quinces with honey. 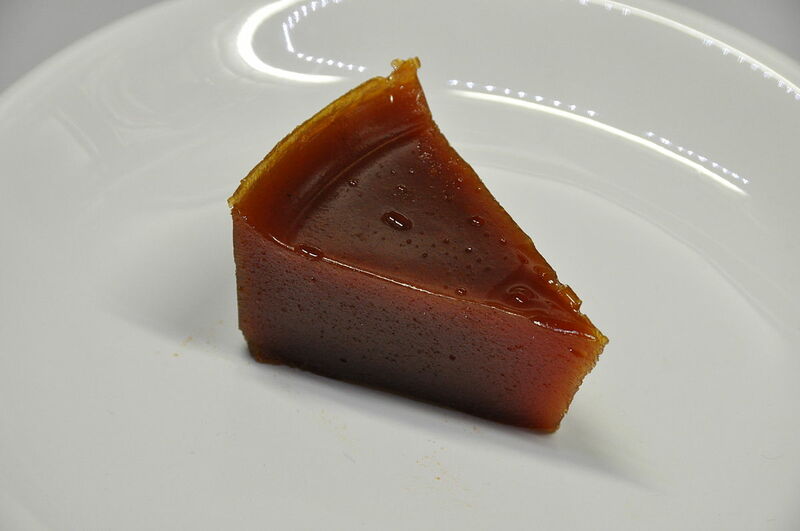 Over the years, the idea migrated to Spain, where it is called dulce de membrillo, and from there it moved to Italy and Portugal. In fact, the word “marmalade” that we now use for jam in general, comes from the Portuguese word “marmelada” which means quince preparation. Swing across to Brazil now, where along with the Portuguese language, the marmelada also migrated, but with one important difference. 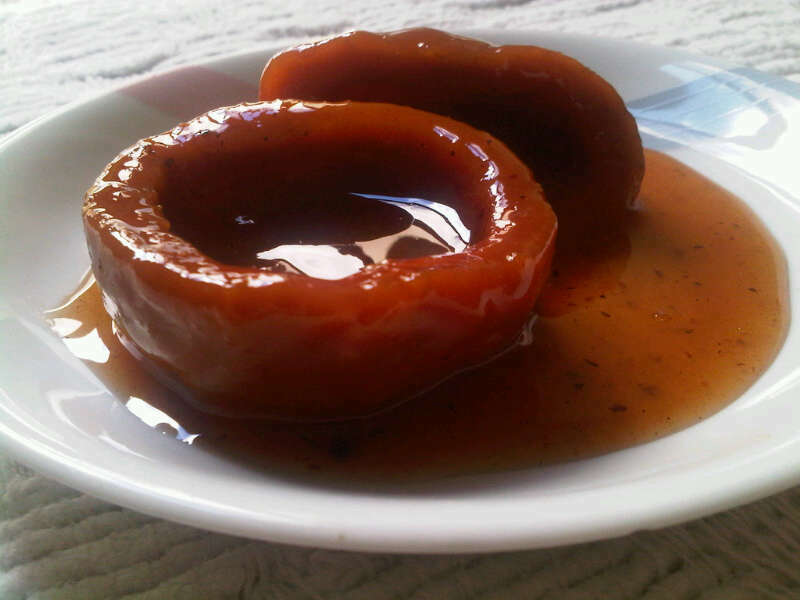 Brazil, lacking in quinces, substituted guavas to make their version of the marmelada, the “goiabada”. Swing the other way to Asia, and the Philippines, a Spanish colony, also lacking in quince, did the same thing to make their “membrilyo”. And parts of India, like Goa and Mangalore, which were Portuguese colonies, adopted the same practice, using the abundant guava fruit to make the guava cheese that kindled the Husband’s nostalgia. 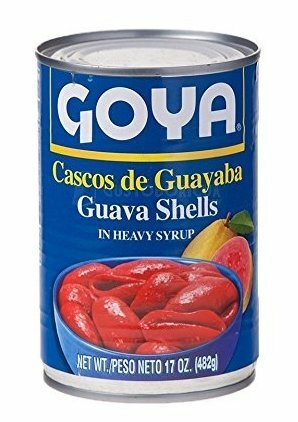 In Cuba, and other parts of the Caribbean, one can buy the guava shells ready to use, in cans. This saves one from the laborious and time consuming process of stewing the guavas to make the guava jelly from scratch. The shells are served with the white queso fresco topping. The creamy tone of the fresh cheese beautifully offsets the sweet and tart flavour of the guava, and the textures blend beautifully as well – crumbly, velvety smoothness and moist, astringent chewiness. “It’s guava cheese cheese”, sighed the Husband happily, reaching across for mine as well, as the Cubans looked on with pride. I didn’t come across this little treat in Cuba; with all this history, I will be sure to search it out next time! Yes you should! I’m not a big fan of guavas generally, but this is deceptively simple and delicious.